I have always been very interested in books, mostly horror but also some Sci-fi, but I stopped buying printed books sometimes after I bought the first iPhone, because I felt that it was much more comfortable to read on a mobile device. When the first iPad was released I bought that too and tried to read ebooks on it, but felt that it was quite awkward to hold, heavy and too big, it was impossible to lay on my side in bed reading for example, so I sold it and started to read on my smartphones again. I really enjoy reading on my phone, on the iPhone I used the Apple app iBooks to read with and it worked great. It could also sync the read position with my other iOS devices (now also with Mac). 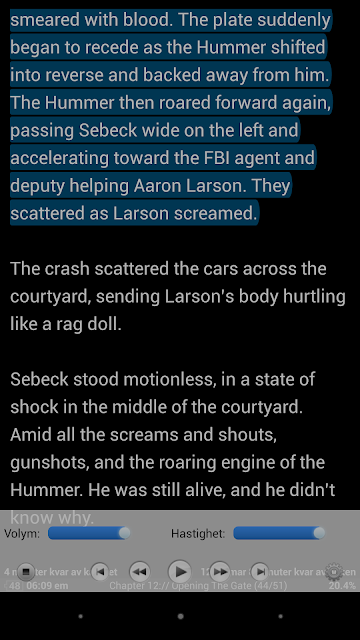 On Android I still enjoy to read ebooks on my phones, I use the very good app called Moon+ Reader Pro. It’s worth buying the Pro version, it’s a very professional app, very nicely developed. As I have already written earlier, it also supports Text-To-Speech, so I use that together with Google’s service for that, and it works incredibly well. Another thing that is awesome with Moon+ Reader Pro is that it supports Calibre Library, so I can easily get to my ebook library on my Mac directly from the Moon+ Reader Android app! Amazing! Very useful. Only that feature makes it worth every penny, because there is other apps that only has that feature and nothing else, and costs almost as much as Moon+ Reader Pro, and then you get all the book reader features too. 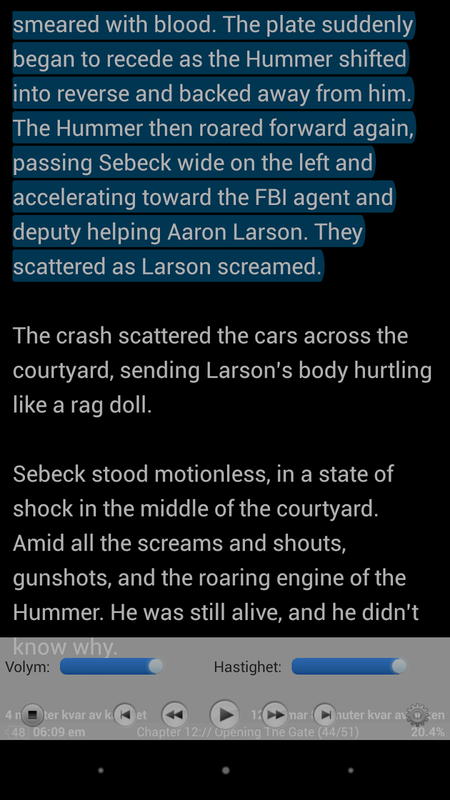 Another feature I really like is that Moon+ Reader Pro syncs your reading position via DropBox, so you can read the same book on different Android devices and still be in sync. 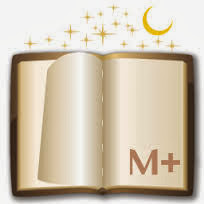 Moon+ Reader Pro supports epub, pdf, mobi, chm, cbr, cbz, umd, fb2, txt, html, rar, zip or OPDS formats, so in other words, everything you need.